Ty Monstaz Zelda Key Clip Keychain. Ty 37302. Ty I live in a wild berry patch. I can't imagine a day without a berry feast of muffins, jam, pie and juice! 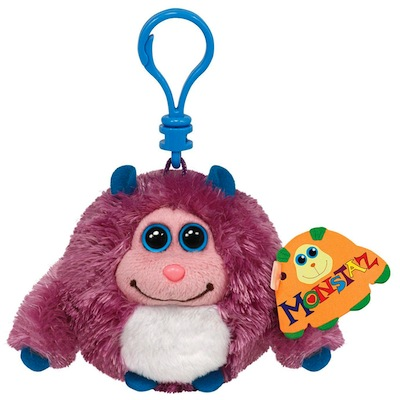 Zelda Monstaz by Ty sits about 4" tall and is bean filled with a clip to take it anywhere. Collect them all.